Your tour of duty at Edwards can be very exciting and enjoyable. Outdoor Recreation (ODR) is here to provide you with many of the items you will need to take advantage of the local recreational areas. If you enjoy camping, hiking, skiing, climbing, gardening, or other activities. We have the programs and equipment to support your needs. Equipment rentals are on a first come, first serve basis. Large equipment, such as trailers, bouncy castles, grills, etc. can be reserved up to 30 days in advance. To make a reservation a minimum of 1 day rental fee will be charged at the time of the reservation to hold the equipment. Failure to pick up a reservation or a cancellation less than 72 hours in advance will NOT be refunded. ODR is not responsible if equipment is not used due to weather conditions or other circumstance that prevent a customer from being able to use the equipment. Late fees will be added if equipment is returned past the return time (Noon Monday – Saturday). Thoroughly inspect each item before leaving the Equipment Check-Out Center. If the condition of the equipment does not meet your satisfaction, simply ask any member of the ODR Equipment Check-Out Center to replace it with a like item or have the receipt annotated to indicate any damage noted. It will be assumed that all items rented are undamaged and in serviceable condition unless noted on the rental receipt. Damage or loss of any item will be charged against the user for the cost to repair or replace the item. All equipment must be returned in its pre-rental condition, i.e. tents will be completely dry and clean both inside and out, grills and pig roasters must be cleaned thoroughly and all grease, ashes and food particles removed, water jugs and ice coolers must be dry and clean inside and out. The travel trailers require the renter to empty and flush the holding tank prior to return to the Equipment Check-Out Center. The renter is also responsible for ensuring that the inside of the Travel Trailers has been vacuumed and cleaned prior to check-in. FamCamp features 36 full hook-up slots for recreational vehicles as well as shower and restroom facilities. There are 36 overflow slots without hookups as well as tent spaces. Payments are made to Outdoor Recreation. You may stay 90 days in a 365 day period. You may only stay 30 days consecutively and then must vacate the premises for 14 days. No reservations are accepted. Edwards Riding Center provides low cost boarding for horses owned by active duty military, DoDcivilians, retirees and their dependents. Stall rental is $55 for the first horse and $30 for any others after, each month. An $80 deposit per stall is required. Horses boarded at Edwards Riding Center must undergo a 10 day minimum quarantine and have a current Coggins Test and current immunizations. Contact ODR before bringing a horse on base. Want to try something unique for your PT Activities? Let Outdoor Recreation plan it! Try something new and different and get away from your same old routine. Rock Climbing Wall: Check out our 30 foot high climbing wall, a great way to build team unity! Biking: Both road and mountain biking available. Check out the many great trails right here on base! Backpacking and Hiking: Come check out the many great hiking trailsright here on base. A great way to explore theless visited areas! Swimming: Swim laps year round at one of our many pools! Other: Let us know what you want to do, we can plan almost anything! Our RV Storage Lots have a total of 362 spaces from 20’ to 50’ in size with monthly fees from $20-35. Only one spot per guest. Recreational vehicle storage is essential because parking a RV in military family housing on is prohibited. The purpose of RV storage is to ensure that active duty living on base have access to park their RV in compliance with the housing rules. To fulfill that purpose the assignment of spaces is done on a priority system. First priority is active duty members living on base, followed by active duty living off base. Third priority is retired military and fourth is reserve military. The fifth priority is Edwards AFB DoD and contract employees. Come schedule a squadron, office, or birthday party at one of ODR’s Facilities! Rod and Gun Club, Paintball, Oasis Aquatic Center are all available for rent! Rod and Gun is $75 for first 3 hours, $15 an hour for any additional hours. Rock Climbing, Land sailing, Camping, you name it we’ll plan it! Just tell us your budget, how many people and we’ll do the leg work for you! Base employees may sell their vehicles on Edwards. The cost is $15 for motorcycles, $25 for cars, trucks, and vans, and $40 for campers and trailers. Registration is valid for one month from the date of issue. Arnold Park is located at the end of Coliseum Drive, features playground equipment, covered picnic areas, a staging area and restrooms. The park often hosts community gatherings in the spring and summer months and is available for rent through Outdoor Recreation. Branch Memorial Park is located near South Base off Lancaster Boulevard, features picnic areas as well as Branch Pond. Branch Memorial Park was dedicated May 24, 1968, in honor of Major General Irving Lewis “Twig” Branch. Arnold and Branch Parks can be reserved for $35. We are an authorized UPS Shipper. UPS service is available during all operating hours. A copier is available for black and white copies. Copies are 15¢ per sheet for single-sided, and 30¢ per sheet for double-sided. For $1.50 each, keys may be cut for most locks, and foreign and domestic cars. Our programs and equipment are available to all active duty and retired military members and their dependents. 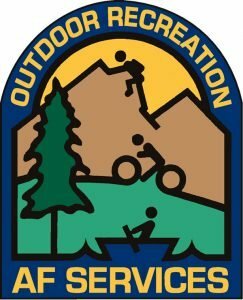 Reservists, National Guardsmen, DoD and NAF employees, and base assigned contractors may also use Outdoor Recreation services. We provide year-round Outdoor Adventure programs designed to encourage people to add outdoor activities to their lifestyle. Offering scuba lessons, ski trips, hiking, fishing, camping, and much more.